(Français) Hôpital Assuta Ashdod : première greffe cornéenne réussie ! Technion (Israel): Are viscous fluids always smooth in three dimensions? (Français) Pourquoi les coquelicots du Néguev (Israël) sont-ils de plus en plus rouges ? (Français) Rapport alarmant du WWF : la Méditerranée, bientôt une “mer de plastique” ? 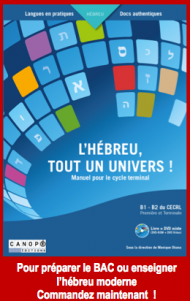 (Français) Le nouveau numéro d’Israël Science Info est paru ! 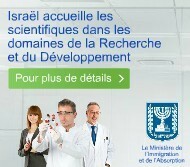 Life sciences: Innovation prize, Oct. 3-4th 2016, Paris : israeli companies invited to apply before April 30th ! A new bandage invented by Israelis aims to save lives by stopping otherwise unmanageable bleedings. Video. Technion : historical visit of Pluton by New Horizons, does Pluton have several moons? Expo Milano 2015 Israel presents the Fields of Tomorrow: a vertical field! Tel Aviv wins World Smart Cities award in Barcelona. 250 cities competed in the competition! 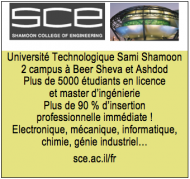 CIO is Technion graduate. Life expectancy in Israel among the world’s highest. This is a country that lives outdoors. The CCIIF to organize the 5th Edition of TRANSTECH at Tel Aviv University, on 28th oct 2014. Kitchenbug (Israel) raises 1M$ thanks to business angels! 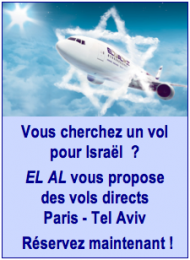 Big event of the KKL-JNF, February 2nd 2014, in Paris. 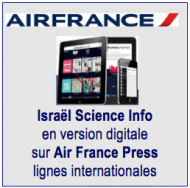 Israel Science Info, official media partner of the KKL-JNF.